I was born and raised in Columbus, Ohio. I left The Ohio State University in 1977 to take a temporary job at British Airways in the World Cargo Department. A dock strike on the east coast in October made me a “permanent” employee and set me off on a thirty-three year career in the airline industry. I literally started at the bottom learning how to drive forklifts as a union Cargo Agent rising to Director Properties, the Americas where I was responsible for all of the real estate assets and airport relationships in the Western Hemisphere. During my second posting to Chicago in 1984, I met my wife Sarah. We were married in 1985 and immediately moved to New York City where our daughter was born in 1988. 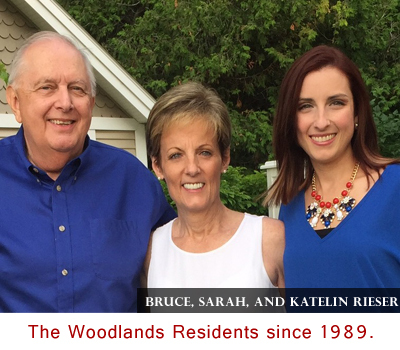 In 1989 we moved to The Woodlands where I managed BA’s Customer Service office at Bush Intercontinental Airport and sat on the airline committee that was negotiating the lease on the new International Terminal D that opened in 1990. After retiring from BA in 2010, I set up my own consulting firm, SKR Consulting LLc. Currently I am advising the foreign flag air carriers on the $1.6 billion Mickey Leland International Terminal Project. During our time in Houston, I have also been active in our community. I was elected President of the British American Business Council Southwest (BABC) and served on the national Board based in New York City. The BABC promotes business relationships between the United States and the United Kingdom. I also joined the Board of the Children’s Assessment Center Foundation and served as their Vice President. The Assessment Center serves the needs of sexual abused children in Harris County. Sarah and I are leaders at WoodsEdge Community Church were we have worshipped since 2000. Finally I have been a member of the Houston Golf Association (HGA) for the past 14 years. The HGA hosts the Shell Houston Open, and has been promoting amateur golf and raising money for children’s charities since its inception in 1946. To date the HGA has raised over $64m for local charities. 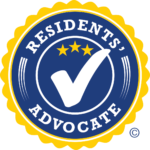 Copyright © 2016 RieserForTownship | All Rights Reserved.